Shark is scary and related to many horrible accidents. Not many of us want to see a shark when we are in the water. 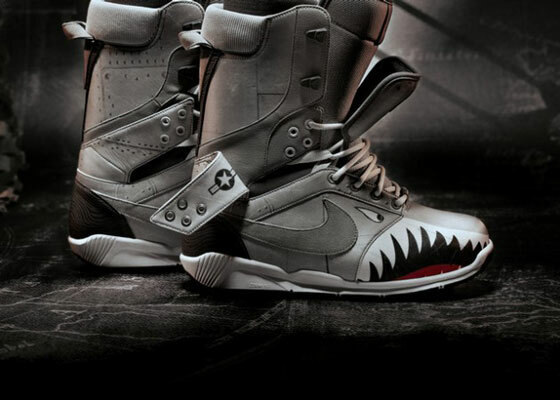 However, use a shark shaped products in our daily life can provide some interesting and enjoyable experience. Maybe, that is the way we conquer our fear of shark. 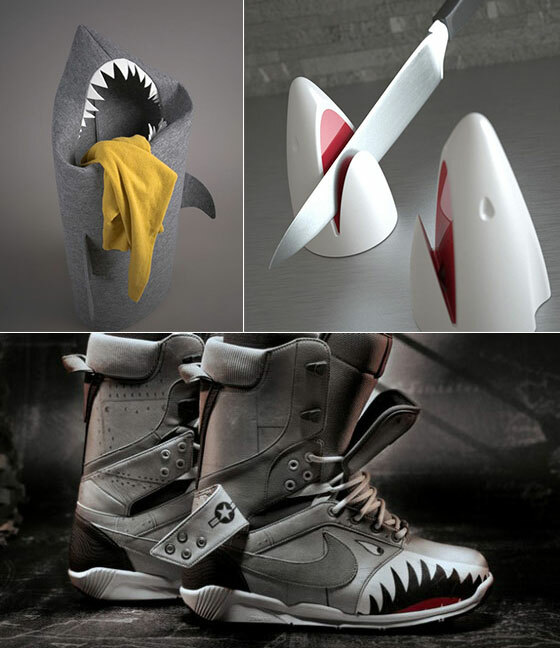 See more of shark inspired products. 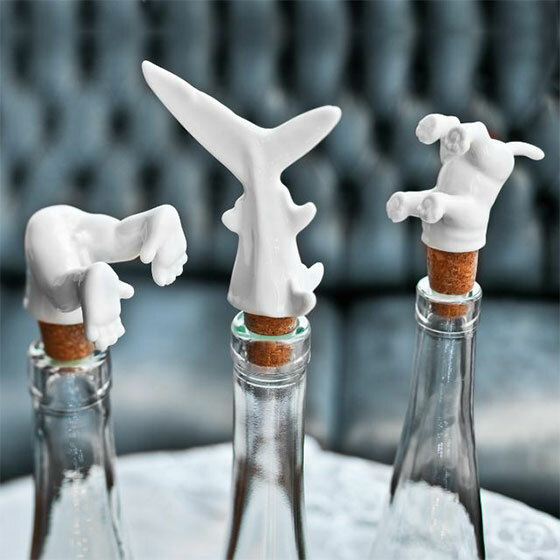 This interstig wine stopper set is not only useful to reserver your wine, but alos a unique and an instant talking point. 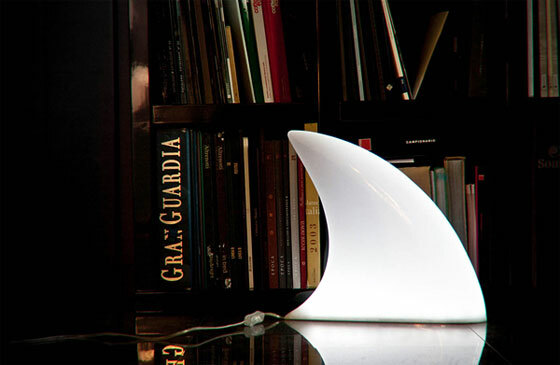 Lamp shark, an excellent and cheeful table lamp shaped like a shark. Perfect decoration for fans of the risks and thrills. How cool if you can feed a shark? It might not possible in real life but we have alternative for you. 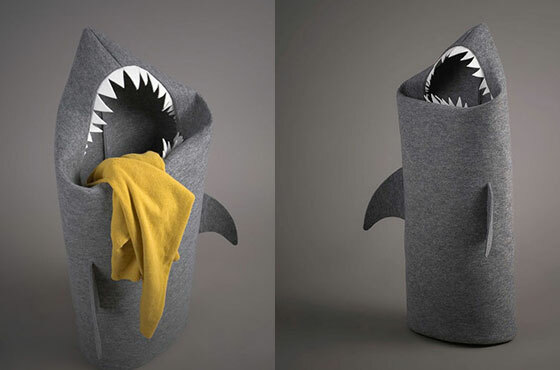 Feed you laundry to this greedy shark basket. It is so cool that if you think it is too cool for a laundry basket, you can also use it as a toy basket in children’s room. Your boy will love it. 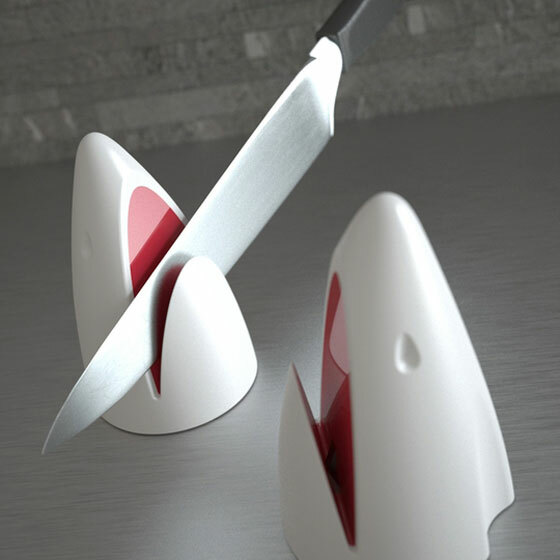 Would you like to sharp your knife with shark sharpener? This interesting Shark Knife Sharpener allow you to sharpen your knives in the jaw of this harmless yet useful shark. Its bottom has anit-slip material so it won’t move as you use it. Look just like a perfectly ordinary coffee cup. However, there is a Hidden Creatures lurking at the bottom. 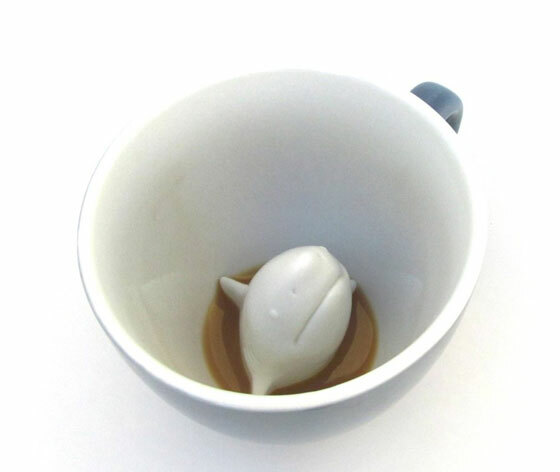 Sip by sip, it appear to emerge from the bottom of the coffee cup – oh, there is a sharp. What a surprise! Having a ceiling fan is a smart way to keep room cool during the warmer months. 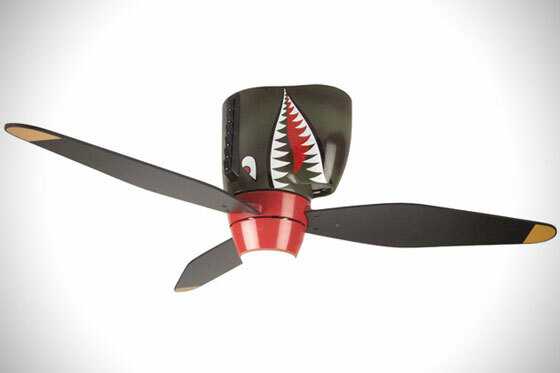 Replicating the menacing faces of the Tiger Shark P-40 fighter planes used during WWII, this unusual tiger sharp ceiling fan will not only keep your room cool but also make your room look cool! It also features a 60 watt light bulb in the center to help illuminate the space. Inspired by classic American aviation, this boot features a unique double tongue system, setting it apart from the original Nike Zoom Force 1 Boot.